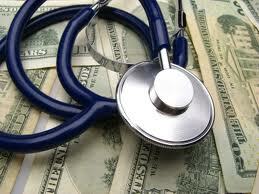 Medicare Fraud in Home Health Care? - Home Physical Therapy expectations. When you should question. When you should report. what you should expect. when you should question. Medicare Fraud? The terms are peas in a pod. They are also on the rise these days. Let's admit it, health care is no longer a profession but a business. And (most) businesses are run for profit. When I started home care physical therapy 16 years ago, my patients were sick... bed bound... acute strokes, heart attacks, total joint replacements. They could barely walk, barely breath and some barely made it. Today, many of them are barely home bound which is a requirement for medicare to pay the bill. There are exceptions but they are pretty well defined. Patients are not home bound. Agency's get more money for sicker people. If you can be made to look sicker on paper - who's watching? Physical Therapy pay structure can promote fraud and abuse. Multiple and sometimes unnecessary 60 day episodes for only physical therapy can generate high reimbursement from Medicare. There are many more and some of the areas of shady. Follow these next few pages to discover what you should be aware of, concerned about and when you should call your agency vs. calling your state hotline number. But first sign up for your Do-It-Yourself Home Health Physical Therapy newsletter (we don't bother you unless it's worth it!) and receive Expect It! 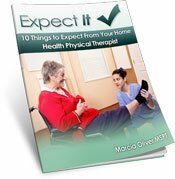 10 Things to Expect From Your Home Health Physical Therapist FREE! With so many factors playing in to fraud and Medicare - it will serve us well to look in depth at several of them. How does a home care agency get paid?